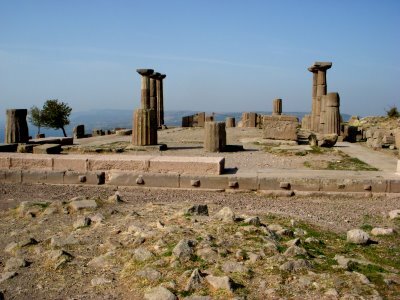 Assos is an area where the sole Temple of Athena stood which was built in the Doric style. 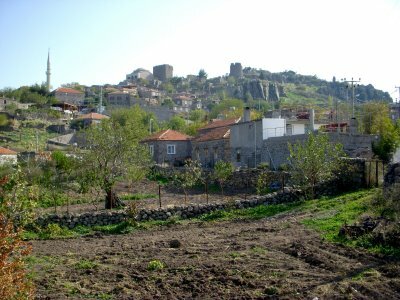 The top of the hill of the town provides excellent views of the coastline of Turkey. Along the hill there are good solid remains of the city walls. 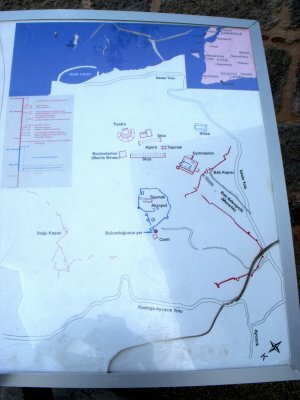 The theater is built at the bottom of the hill with the necropolis, bath house, and the market place one level higher then the theater. The Apostle Paul stopped in Assos on his third missionary trip. Paul met Luke and then took a boat to Lesvos. Aristotle lived here from 348 to 345 BCE and married Hermeias’ niece, Pythia. Hermeias, a one time student of Plato, ruled Assos, which Assos experienced great prosperity. 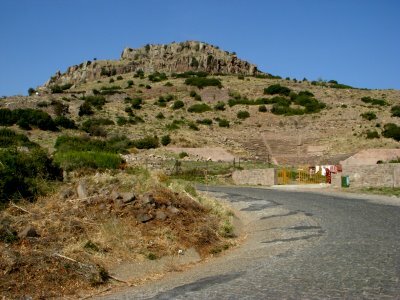 The Persians tortured Hermeias to death, although when Alexander the Great arrived, the Persians were driven out of Assos. The town is charming and old, although the populace is bored stuff, along with high prices, although I got a good deal at one of the pensions in town. The town thrives off of tourism and it must be a headache in the summer. In October the town is quite. Next post: The Island of Bozcaada.